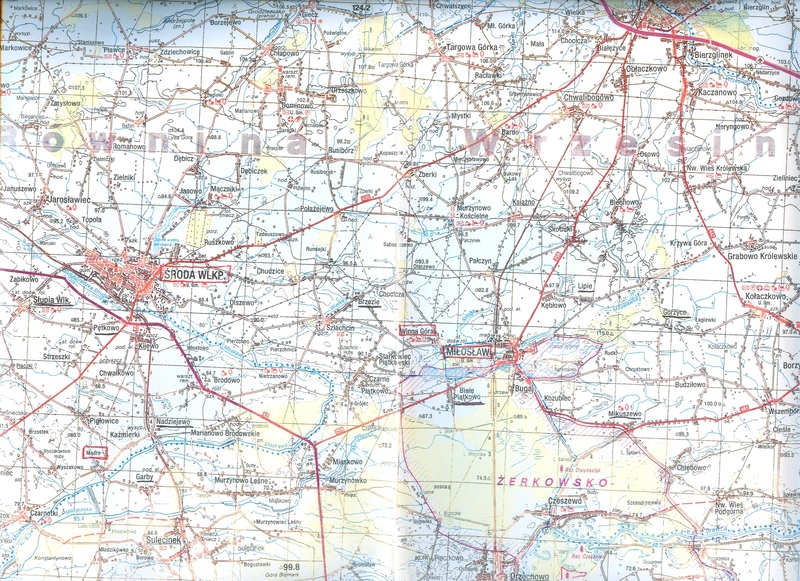 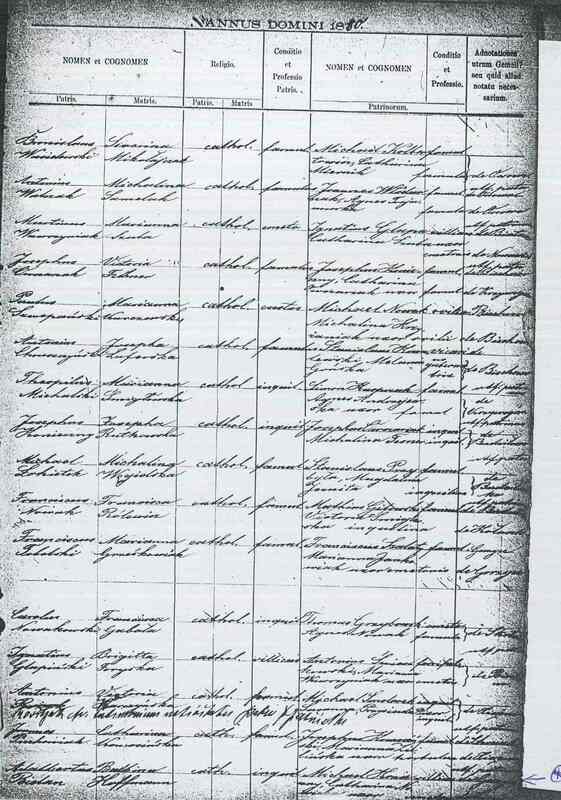 Please note that my own Bielawa family does not come from Galicia, but from another part of Poland, the region south of Poznań around the town of Środa. 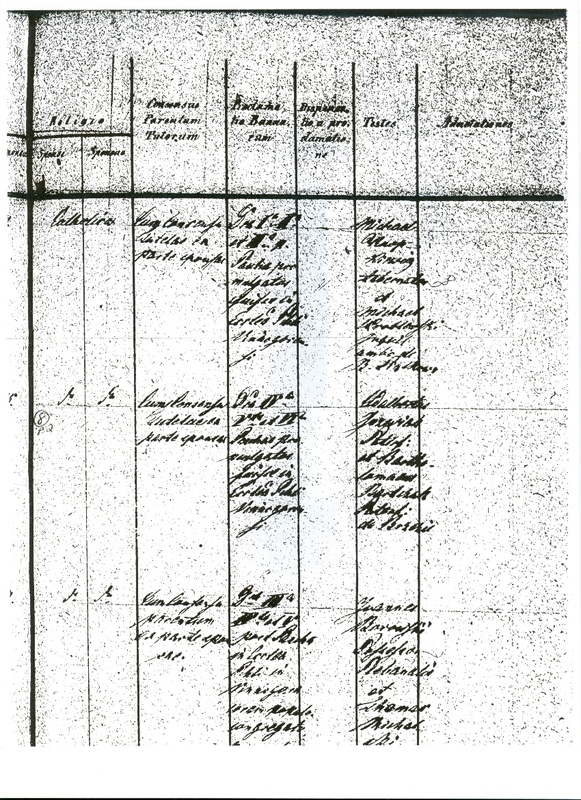 Therefore, much of the research methodology found on these Galician web pages does not relate to Poznań region, which was historically part of the Prussian or German Partition of Poland. 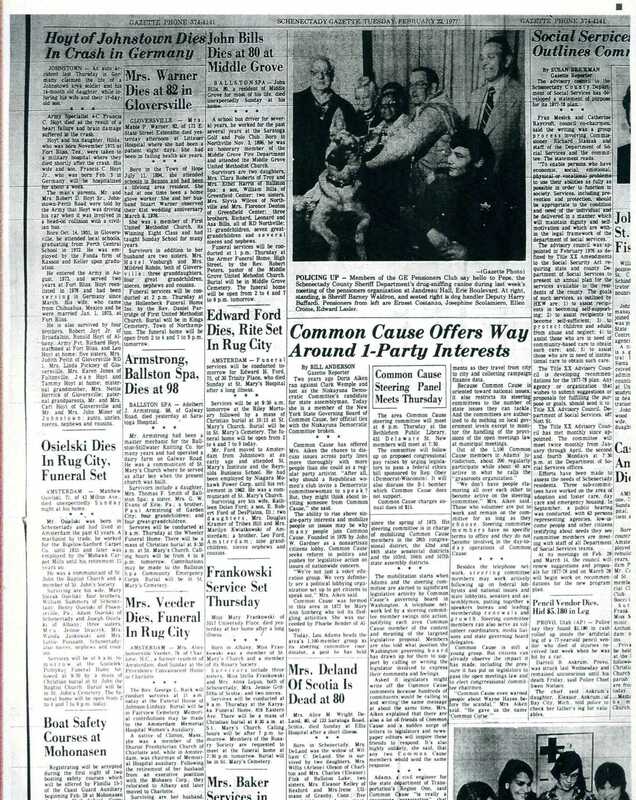 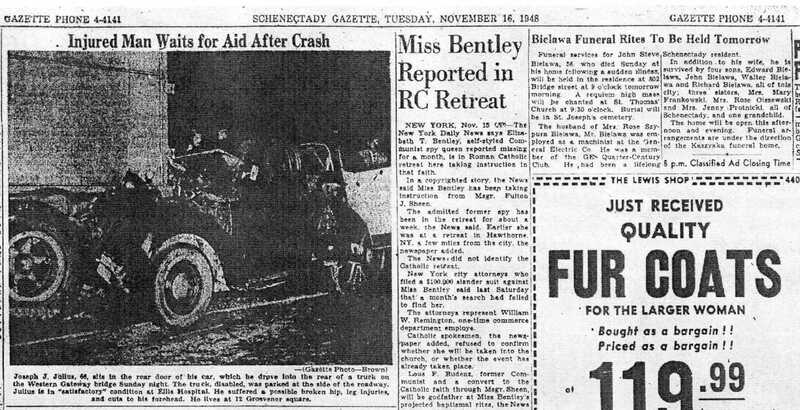 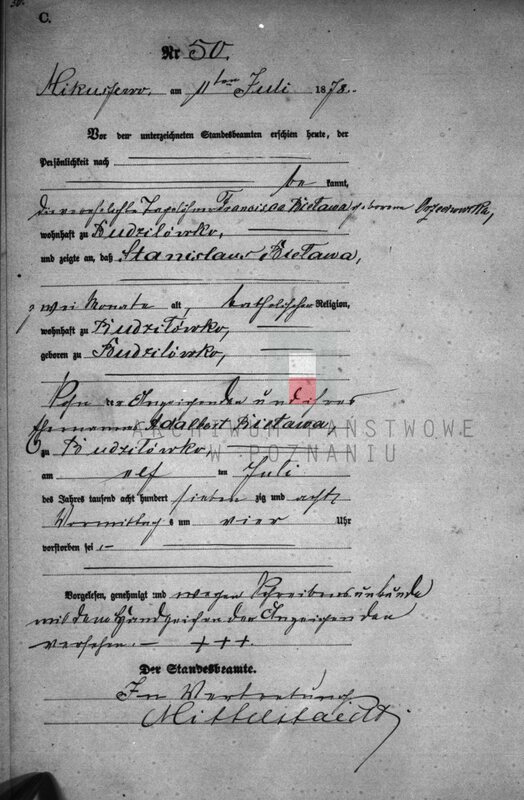 Searching for my grandfather's half-brother Franciszek Bielawa (Frank Smith) required A LOT of help from several wonderful cousins. 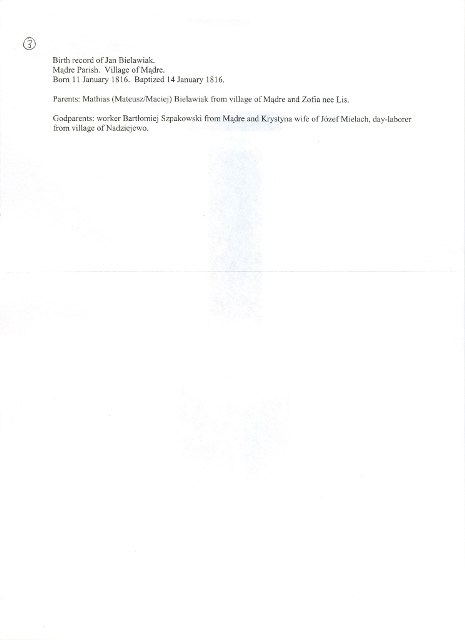 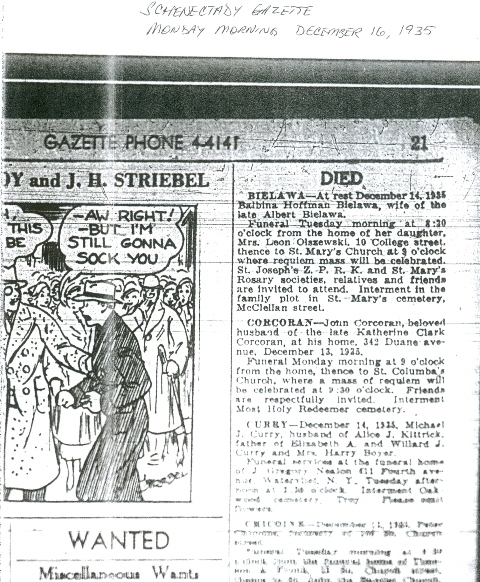 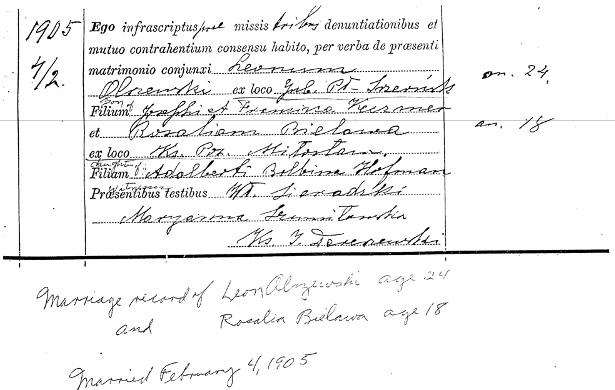 A sincere thank you to my "new" cousins Frank Smith, Bob McDermott, Pam Webber and Linda Miller, for all your important help in connecting the descendants of Franciszek Bielawa, aka Frank J. Smith (1874-1944)! 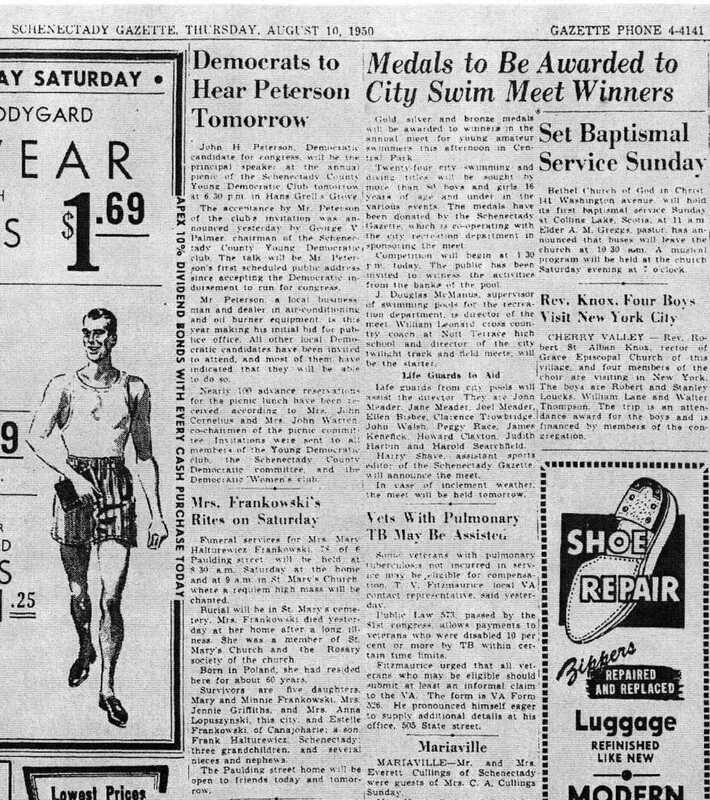 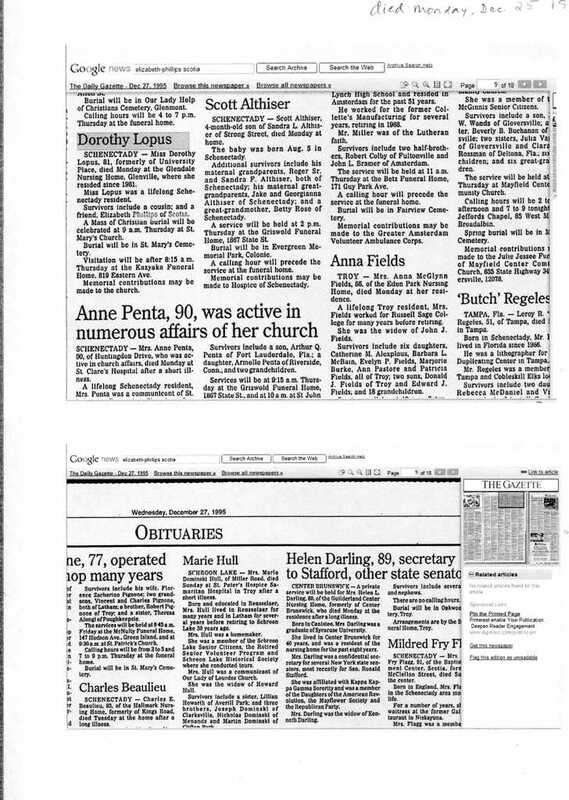 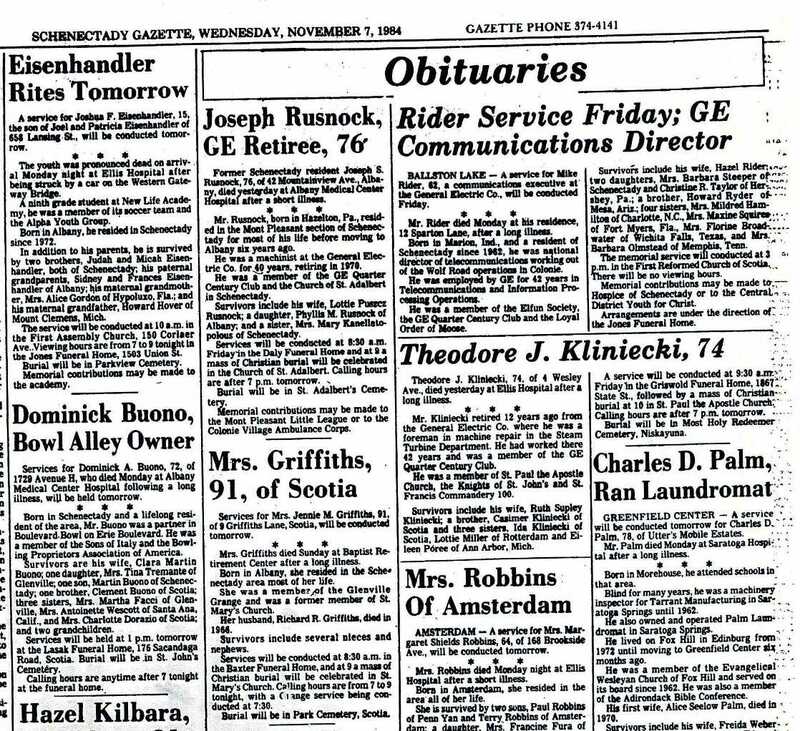 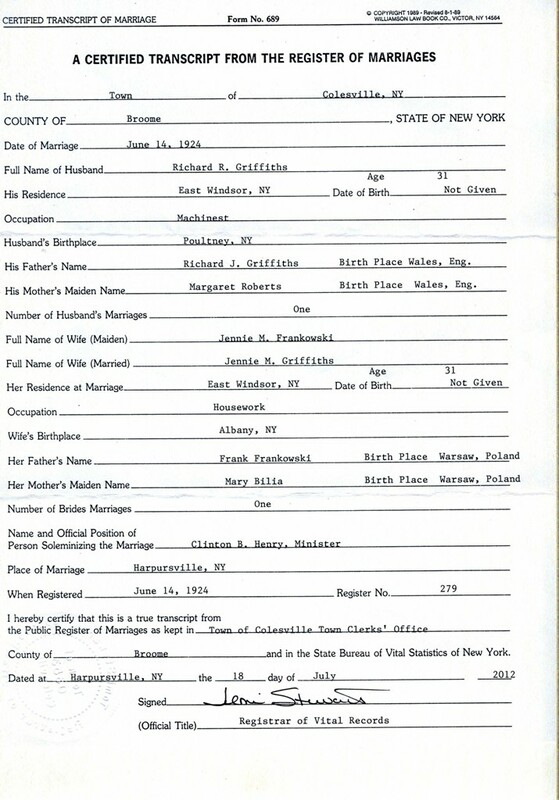 All I was going on was a family story about my grandfather having a half-brother who changed his name to Smith. 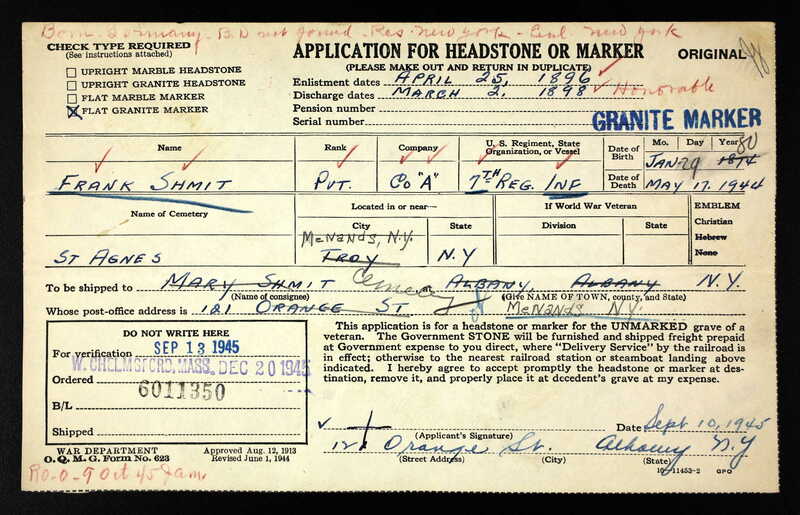 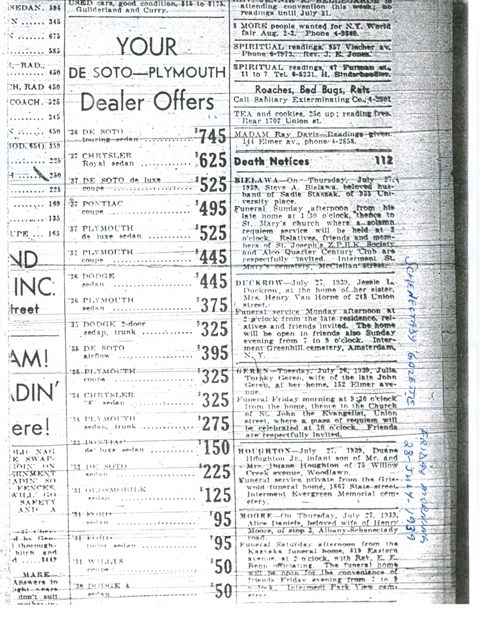 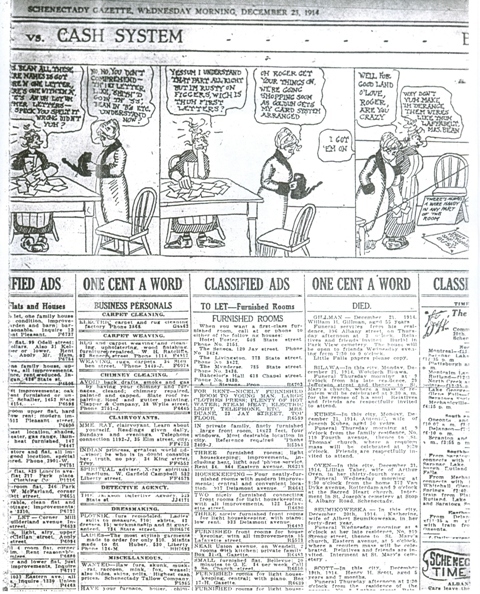 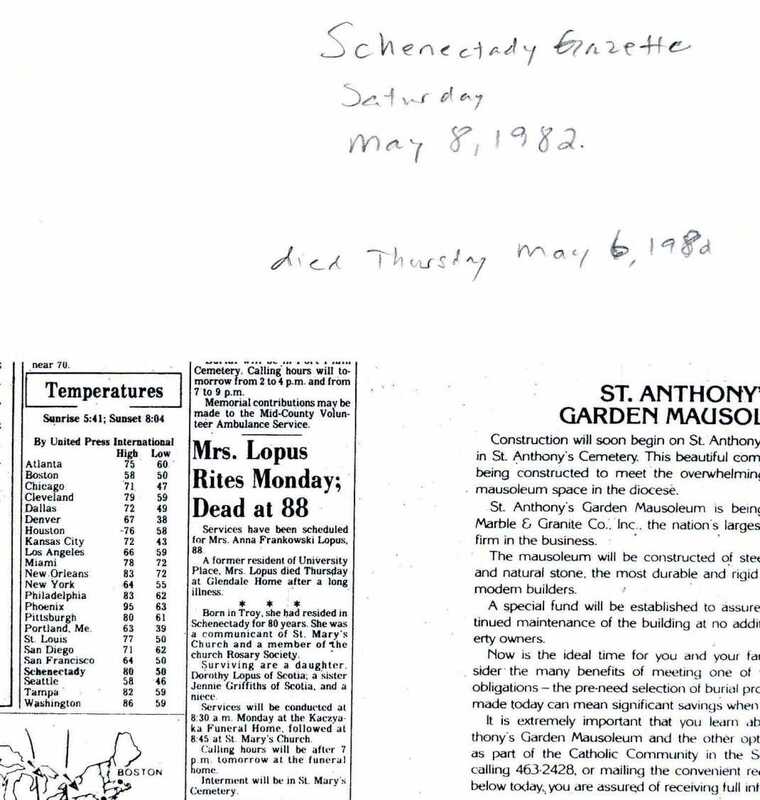 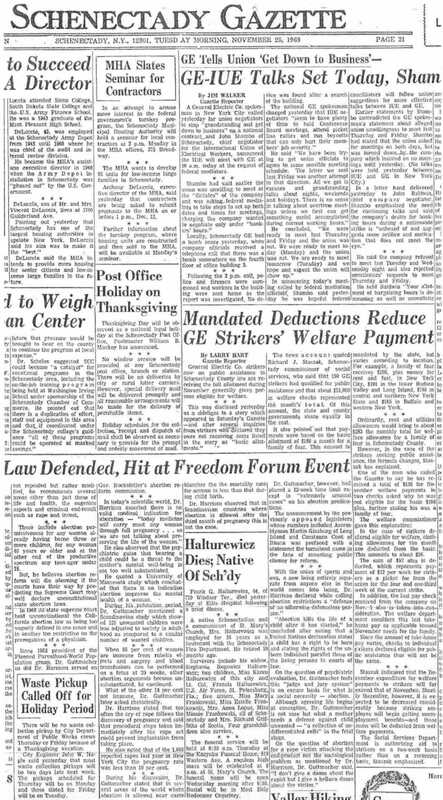 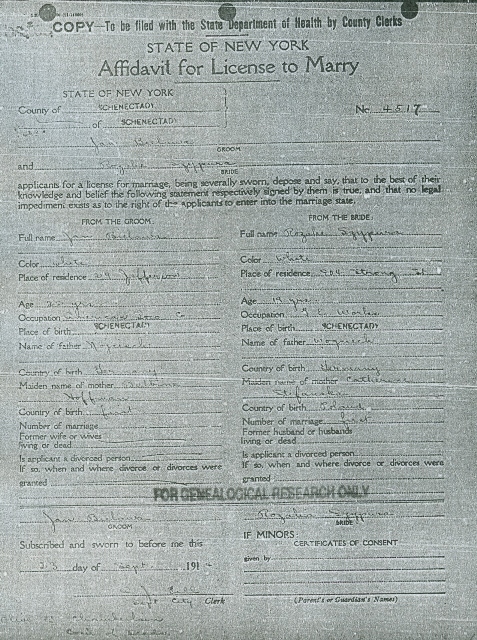 It took a long time of research, letter writing to multiple states, many trips to the New York State Archives and Library in Albany, and lots of wrong turns and deadends before I finally tracked his 11 children born across 5 New York counties, and, according to census records, his family residences in 8 different New York counties between 1890 and 1944! 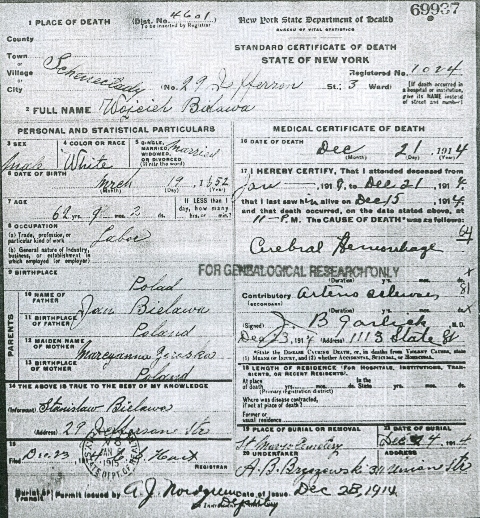 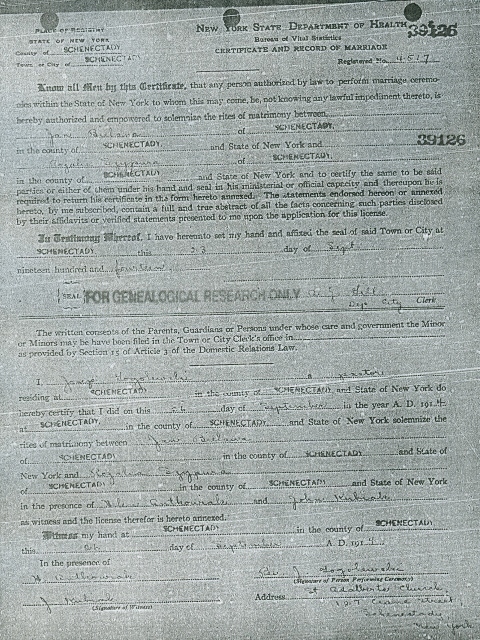 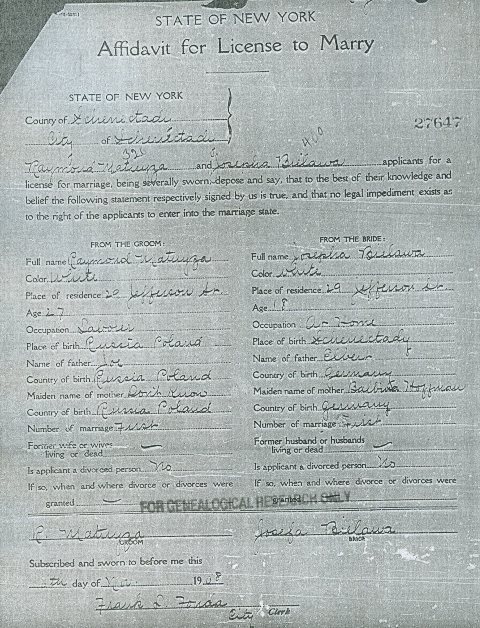 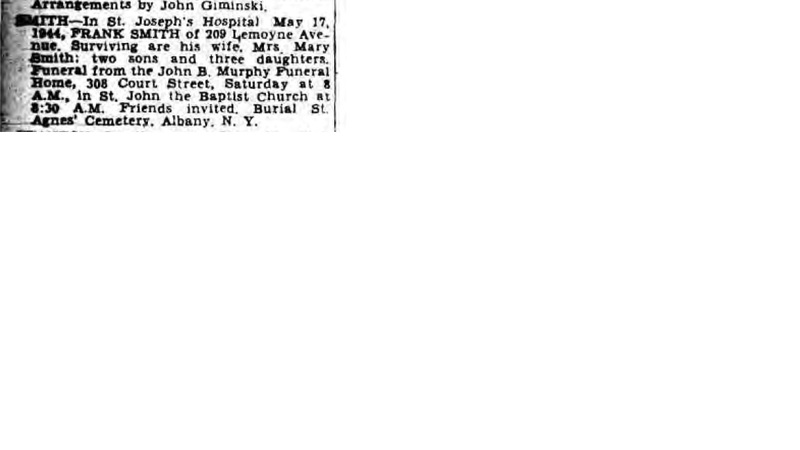 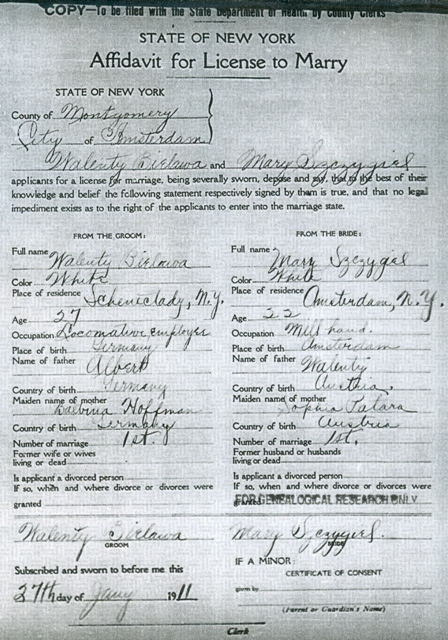 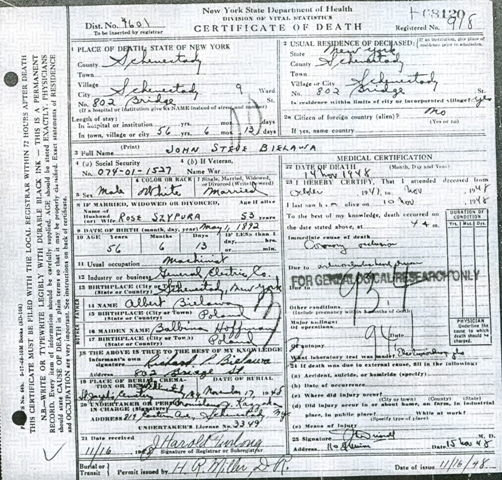 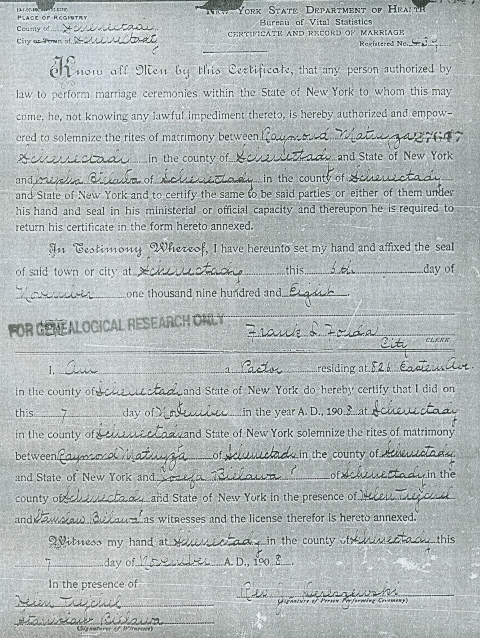 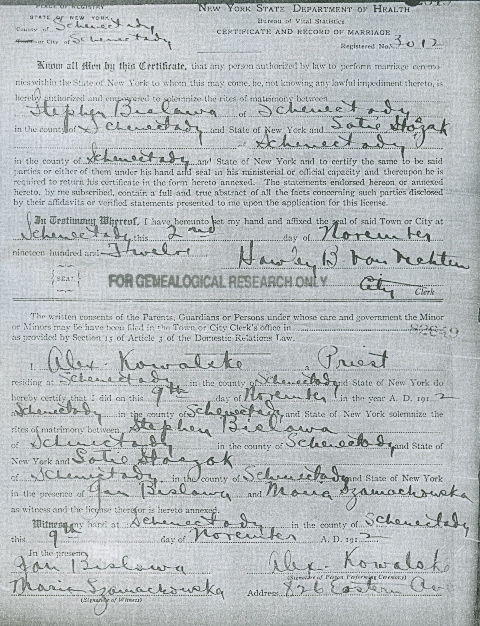 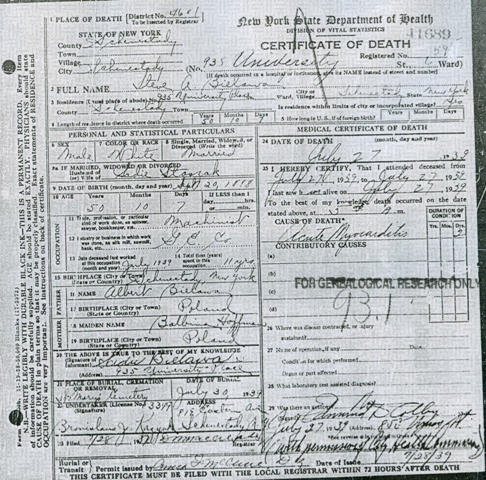 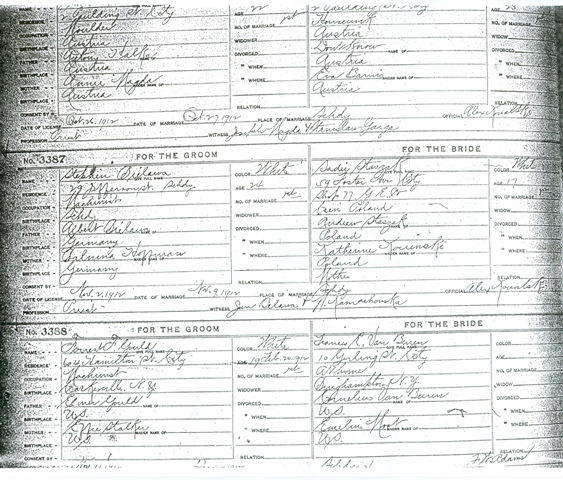 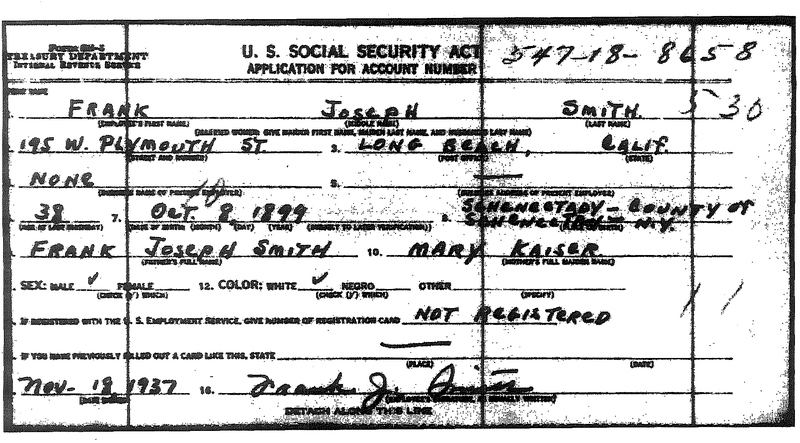 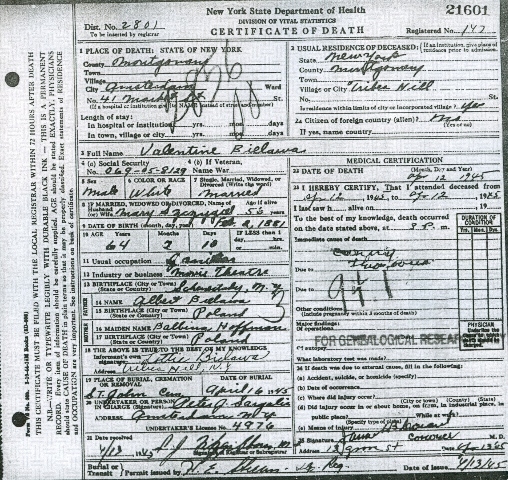 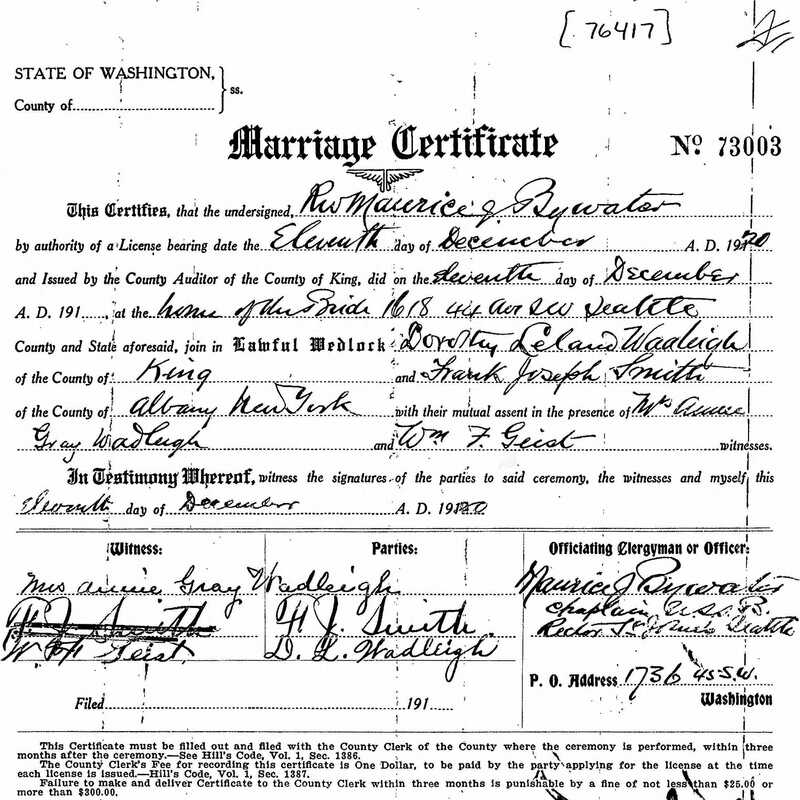 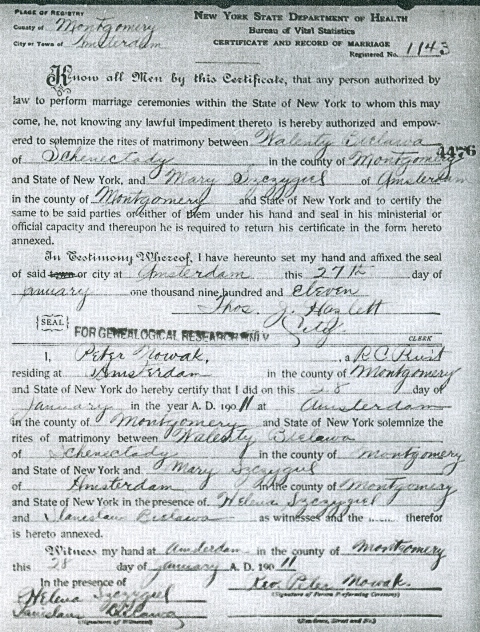 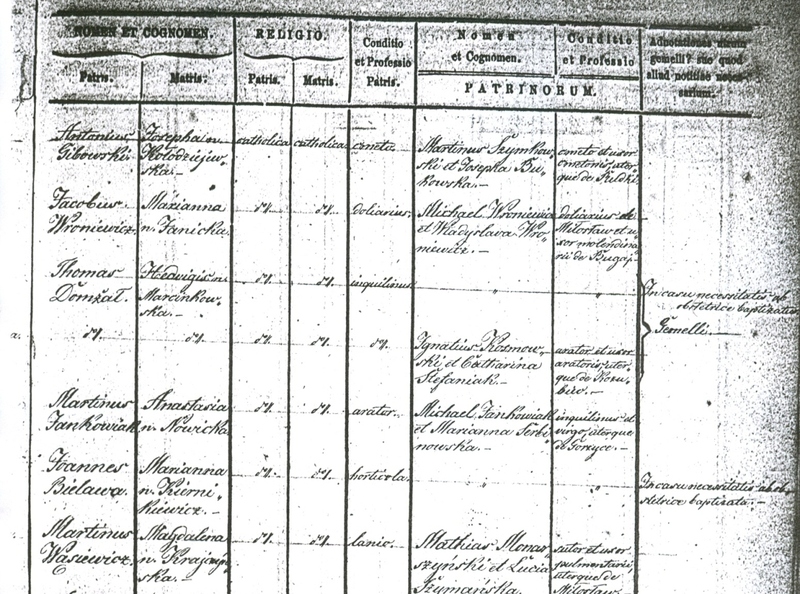 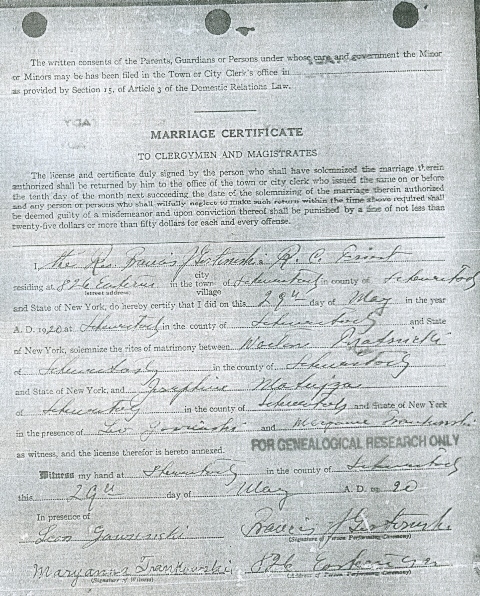 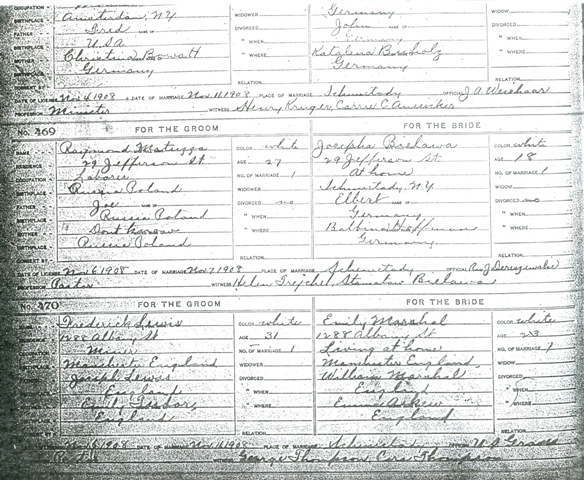 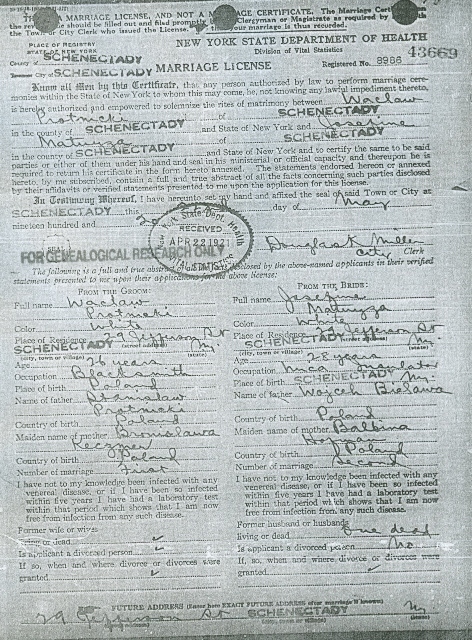 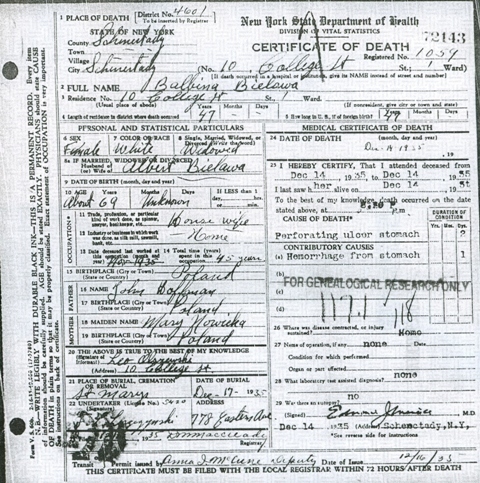 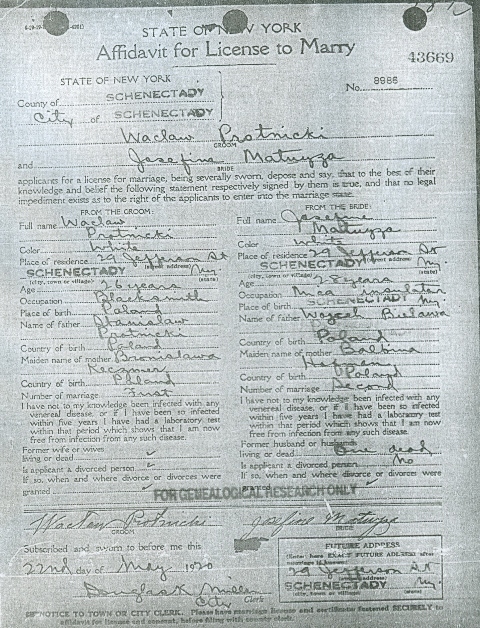 Married 4 Feb 1905 Leon OLSZEWSKI in Schenectady, New York (Marriage record. 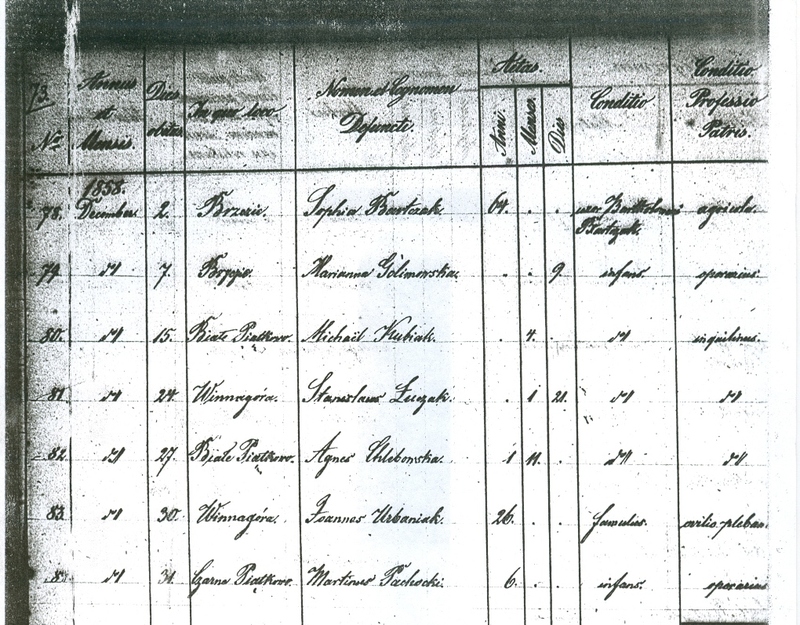 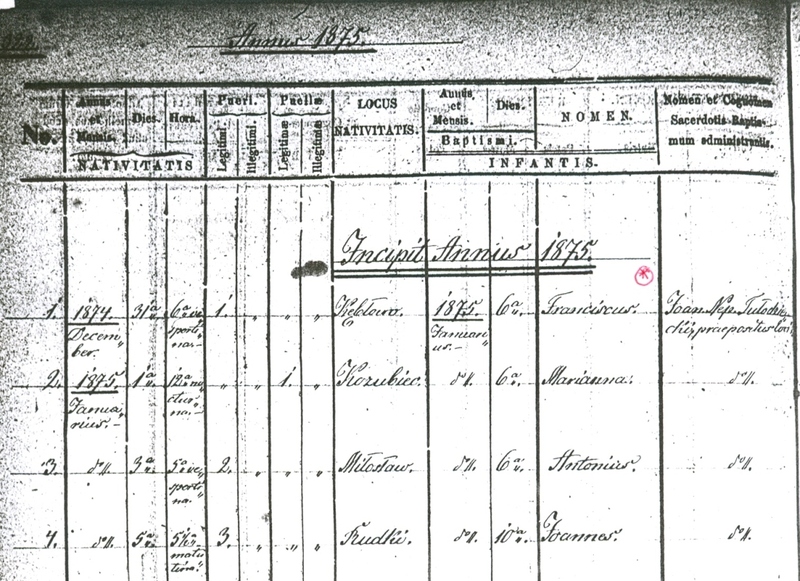 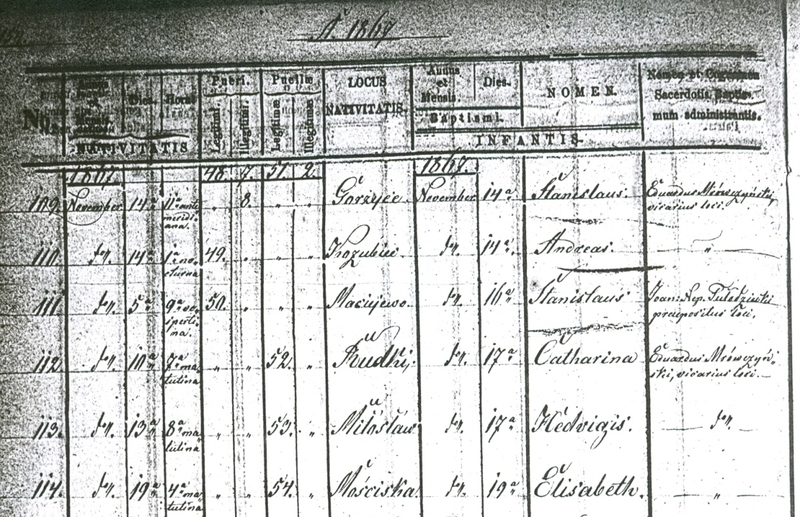 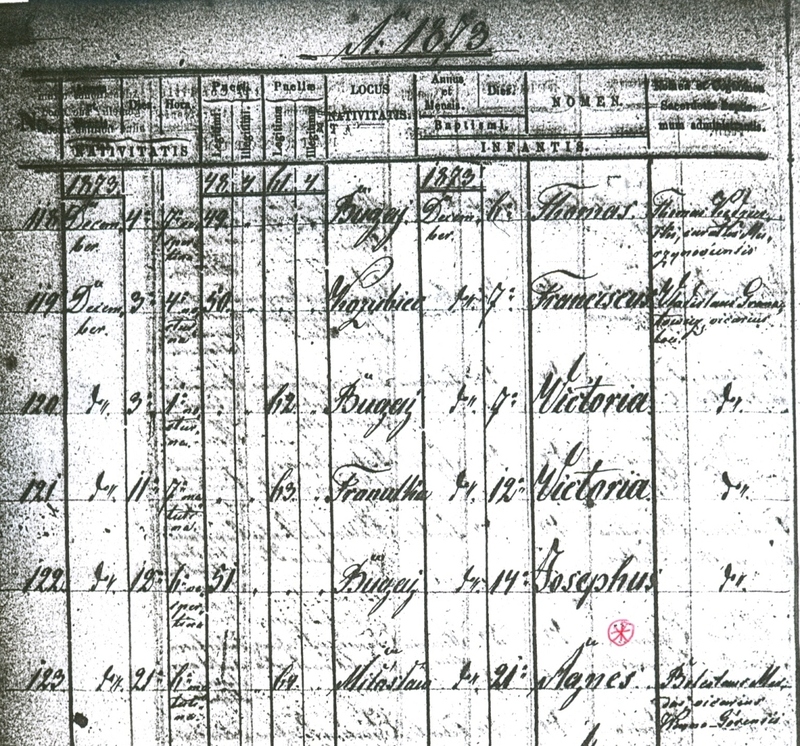 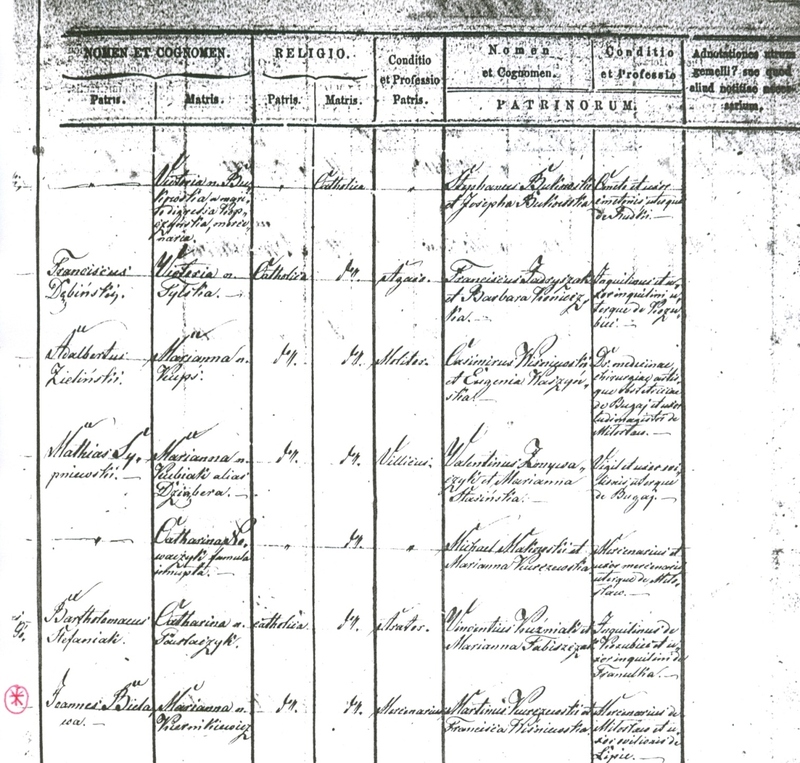 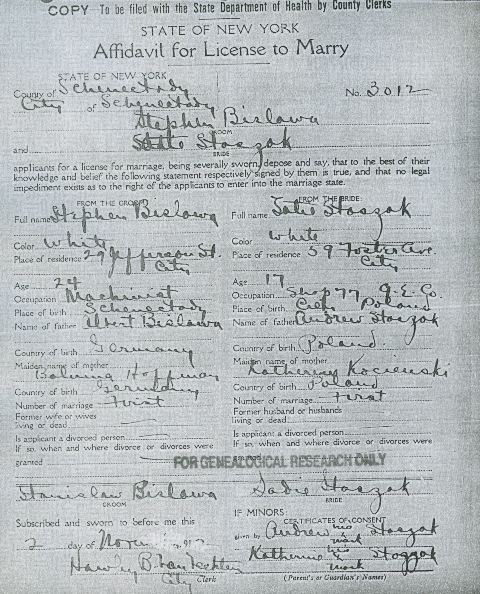 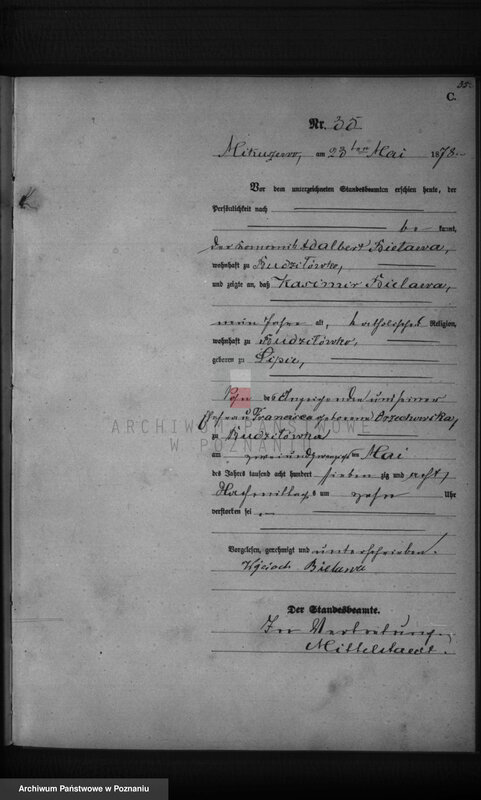 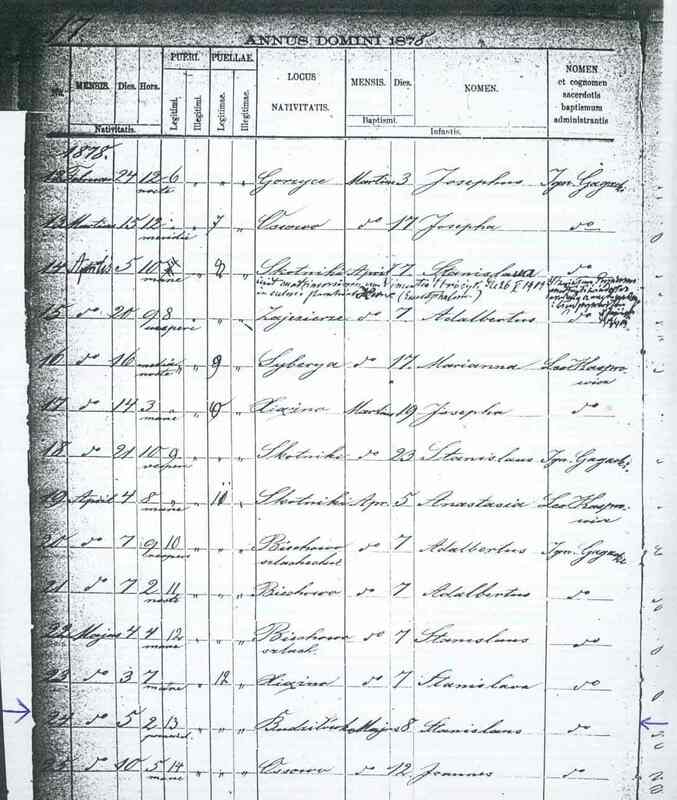 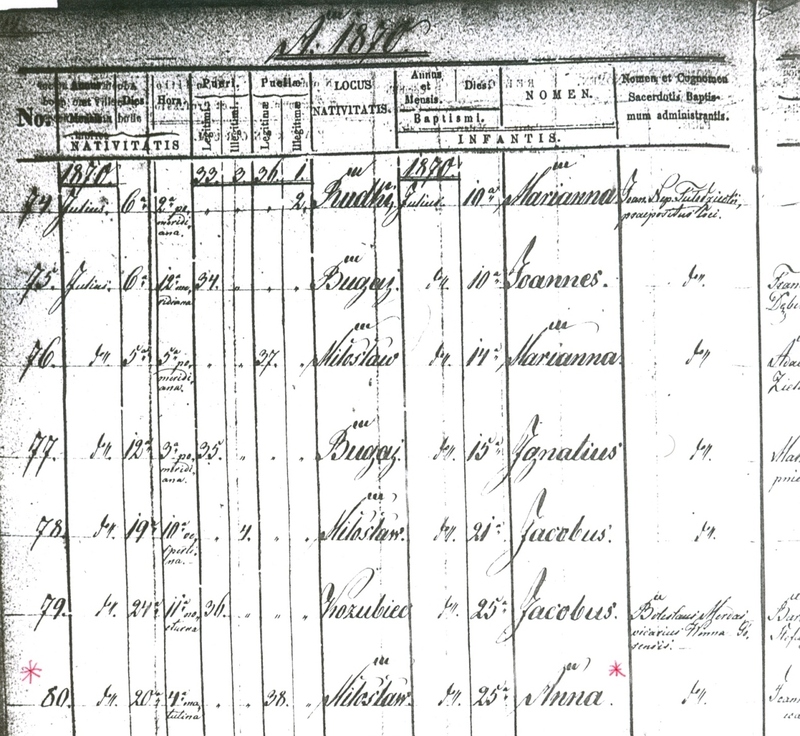 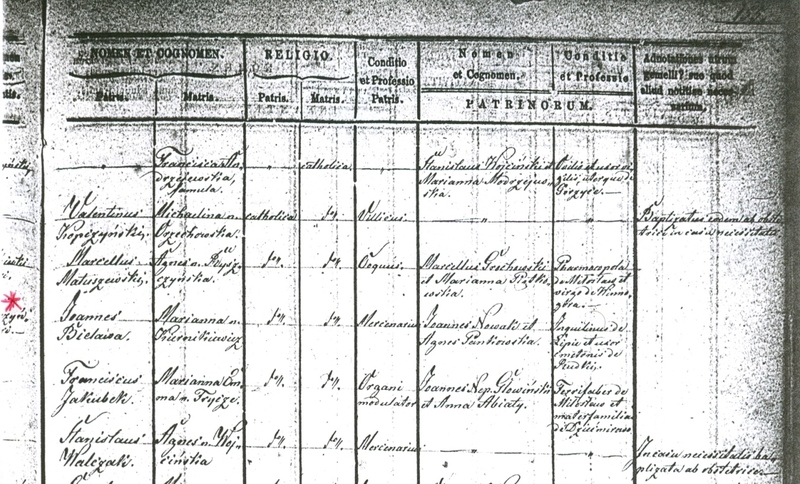 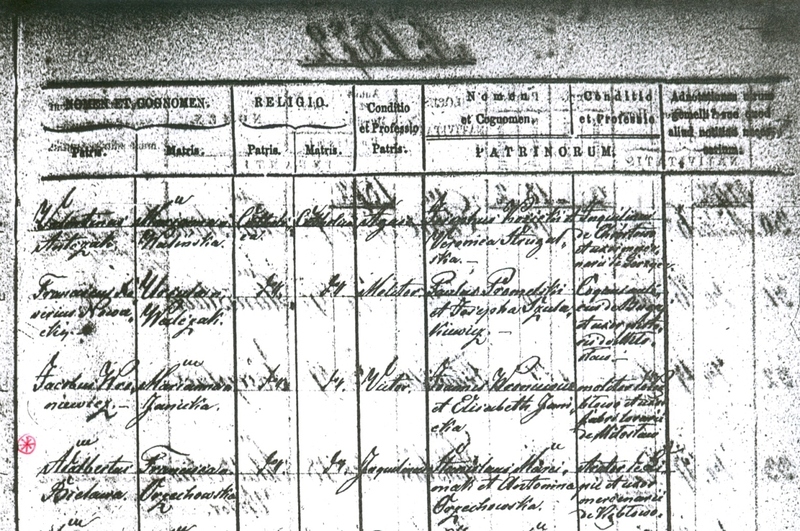 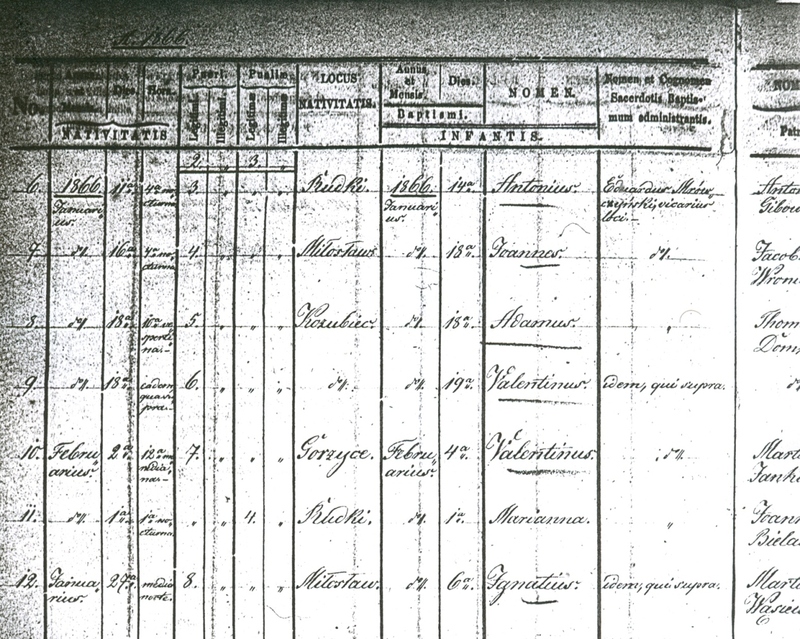 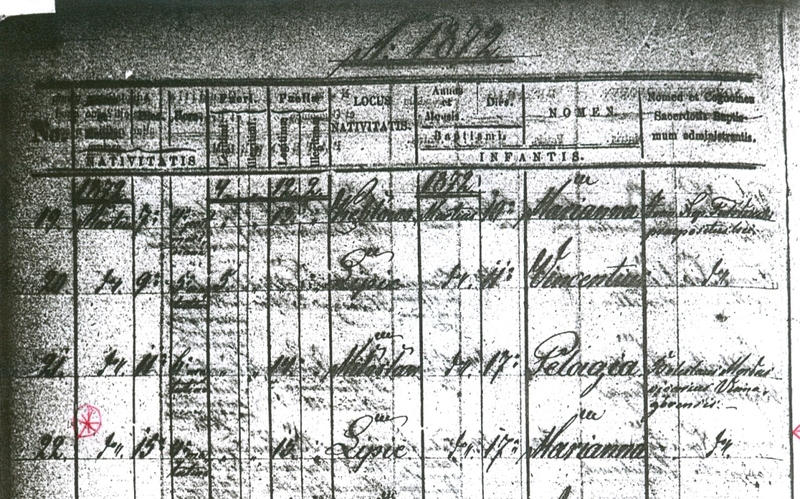 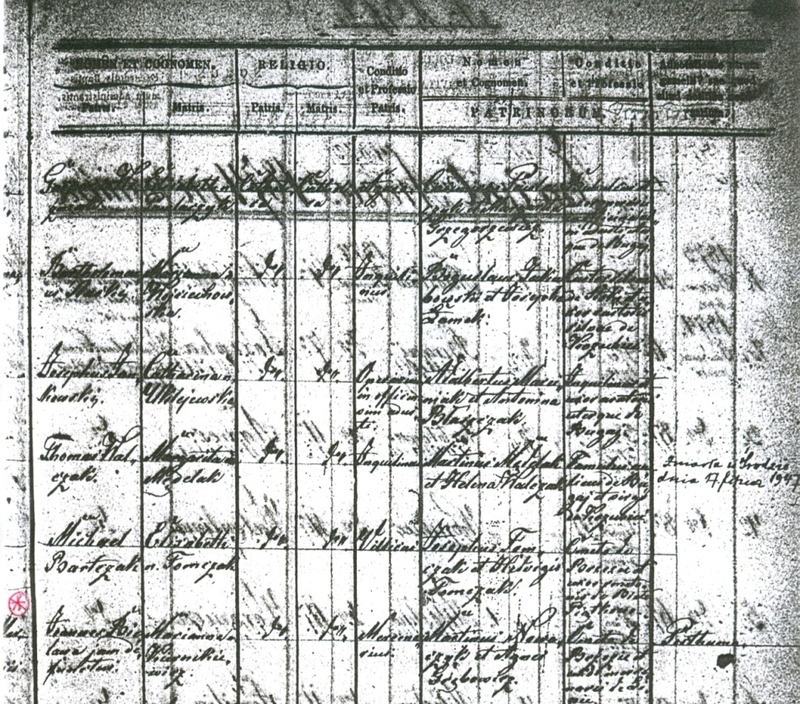 Note: this is a special marriage record; it is the one and only record that led me back to find the Bielawa family in Poland. 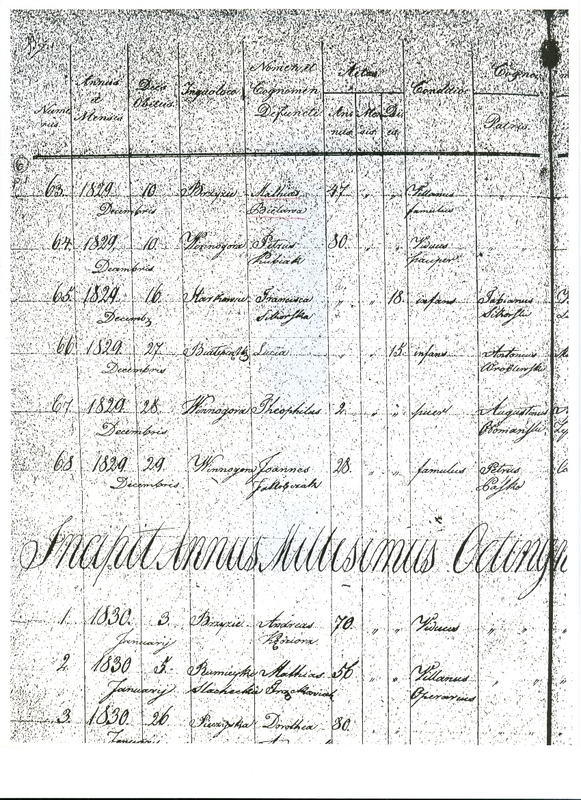 Rosalia Bielawa's birthplace is listed as "Ks. 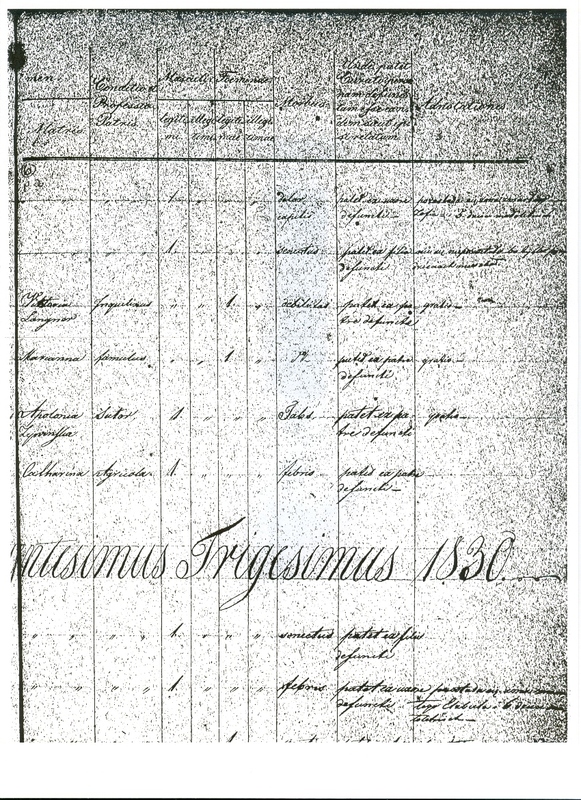 Poz. 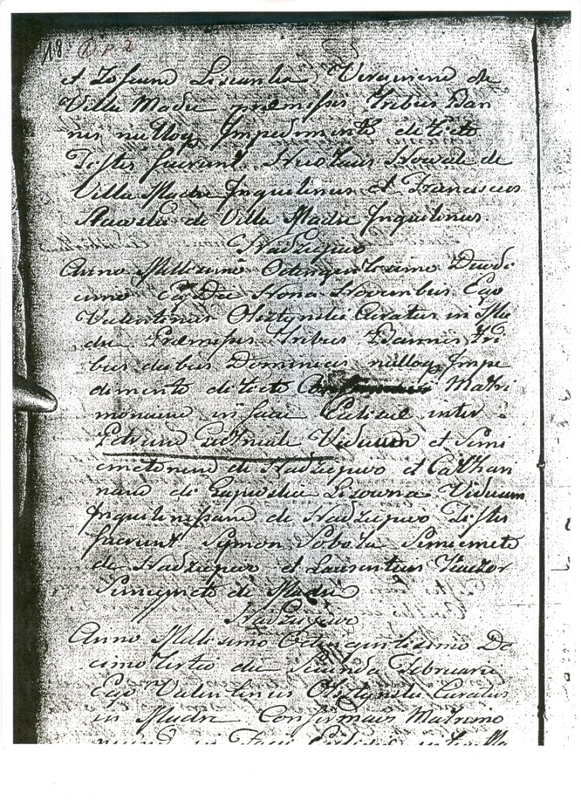 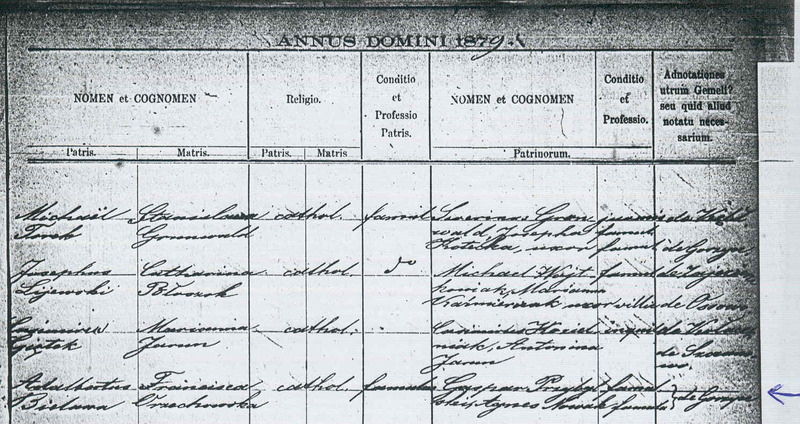 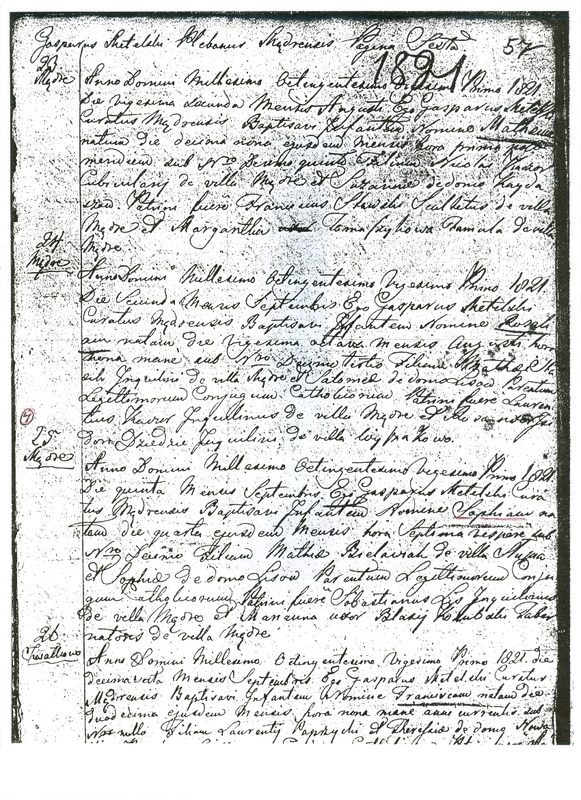 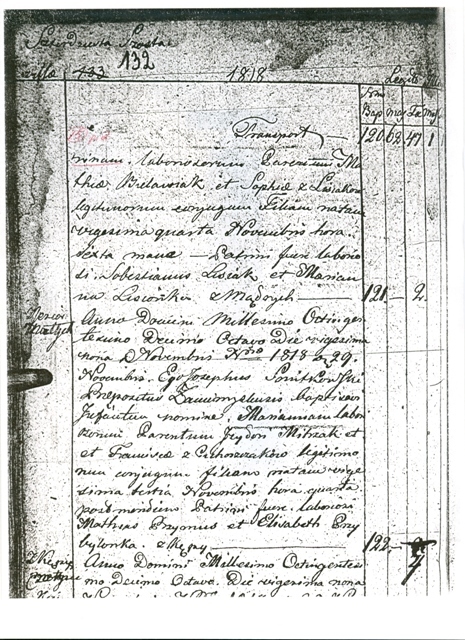 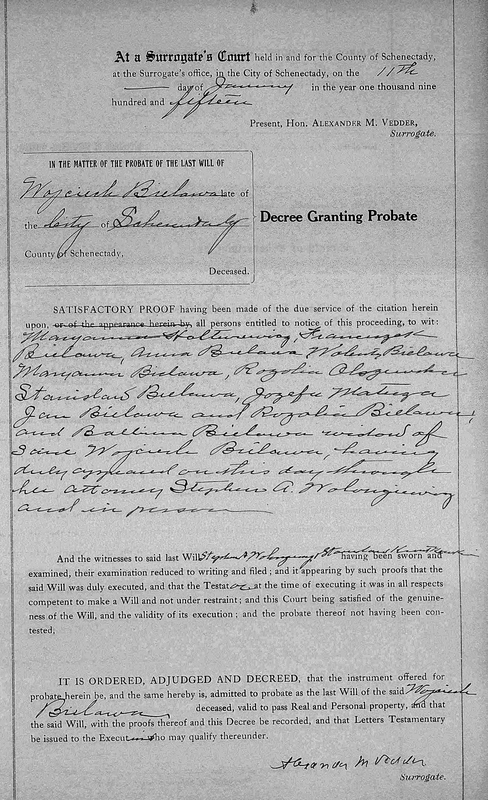 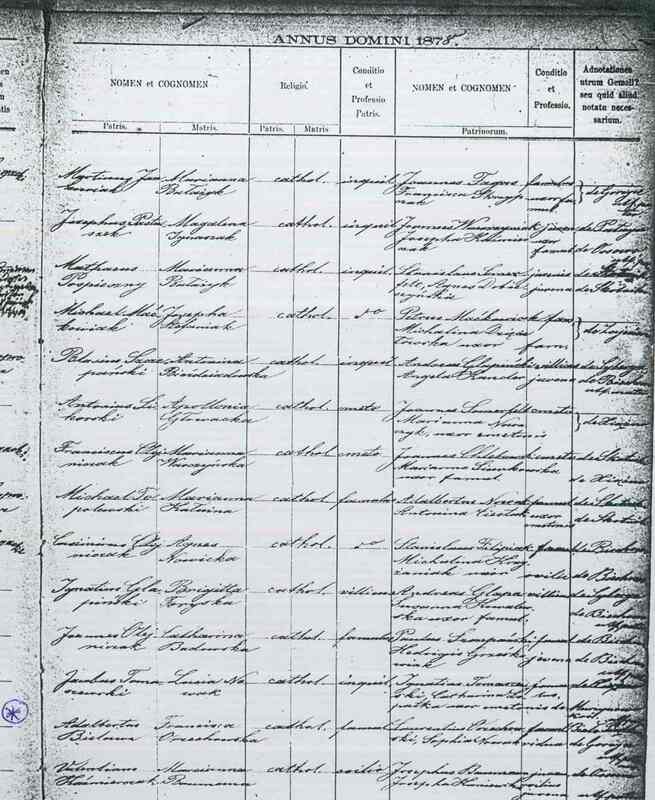 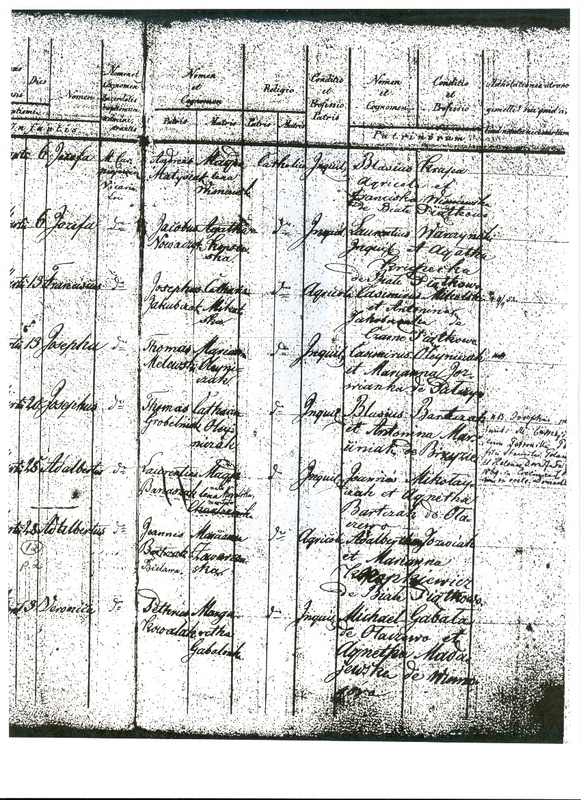 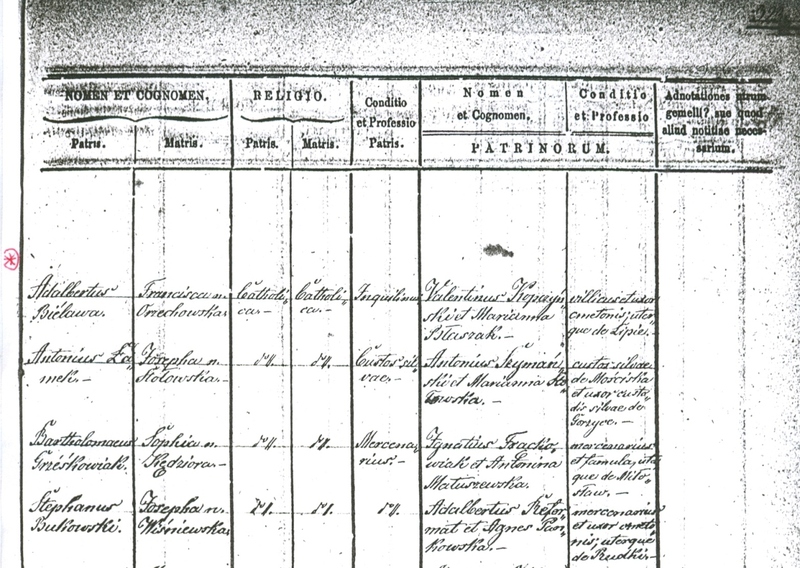 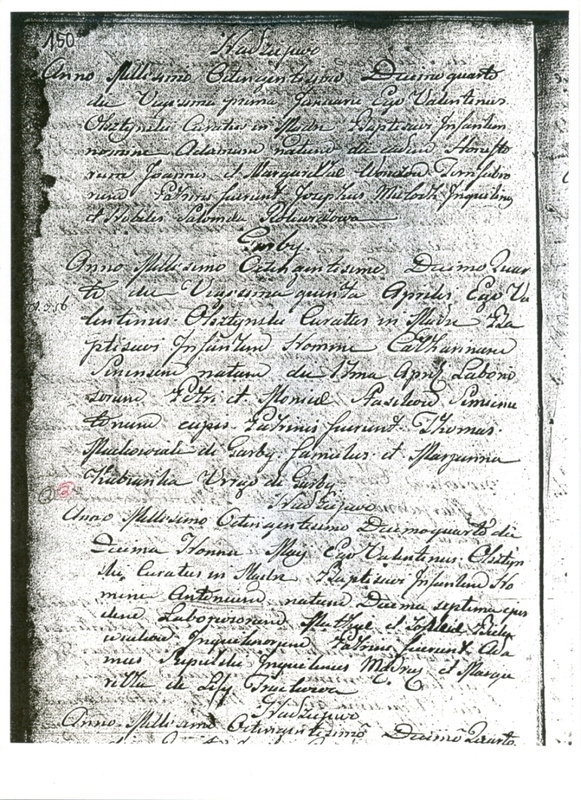 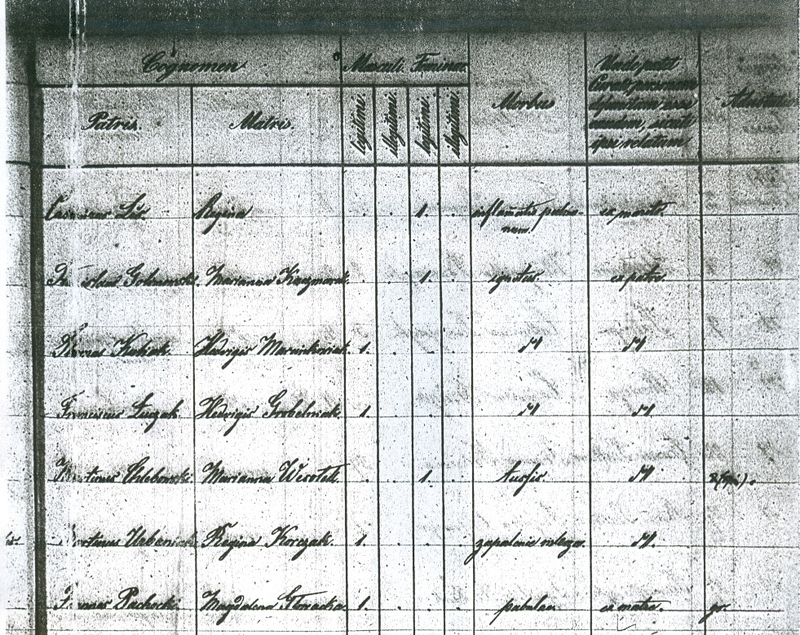 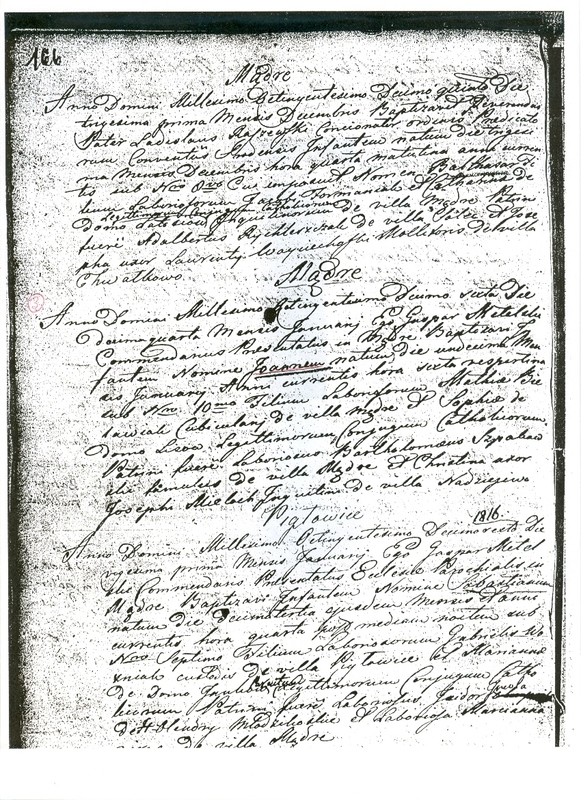 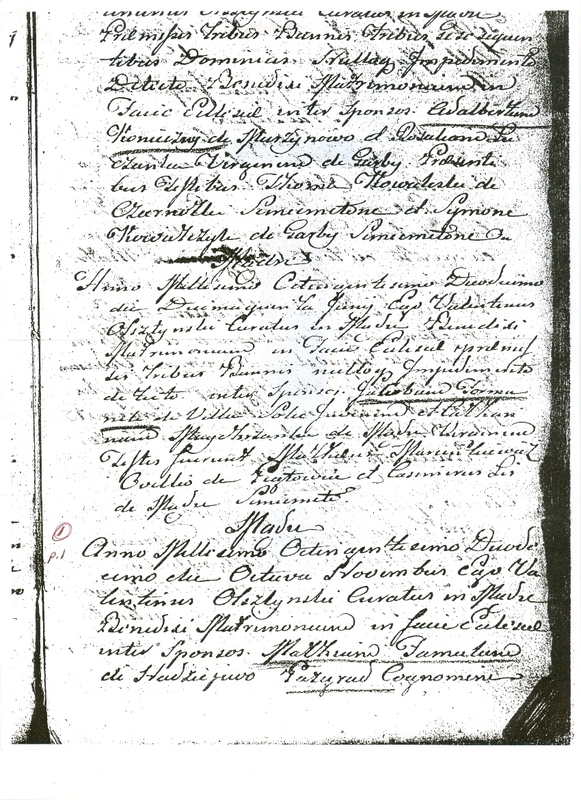 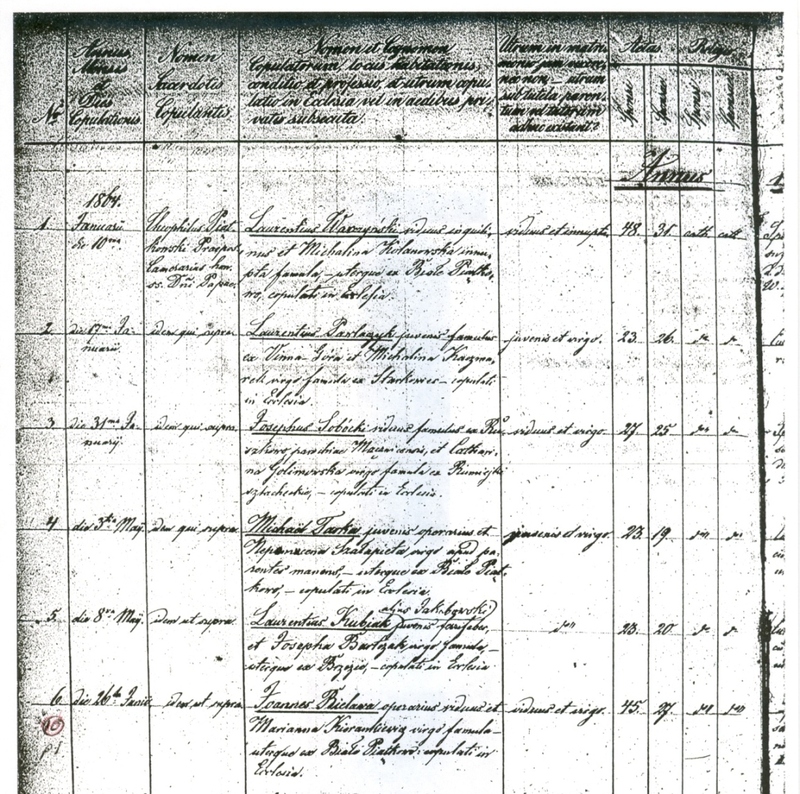 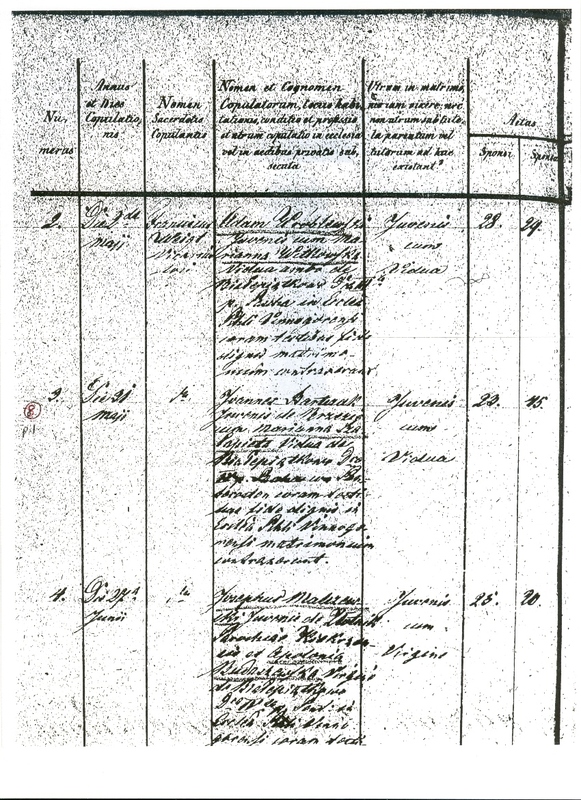 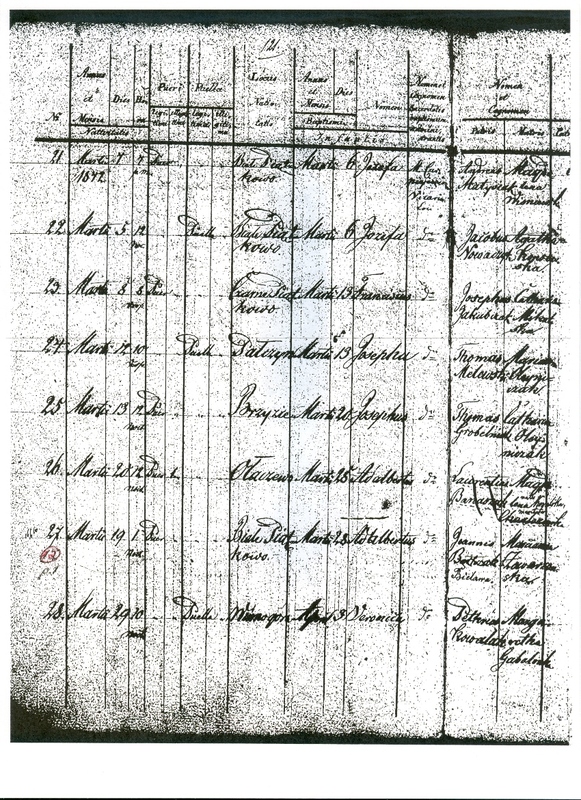 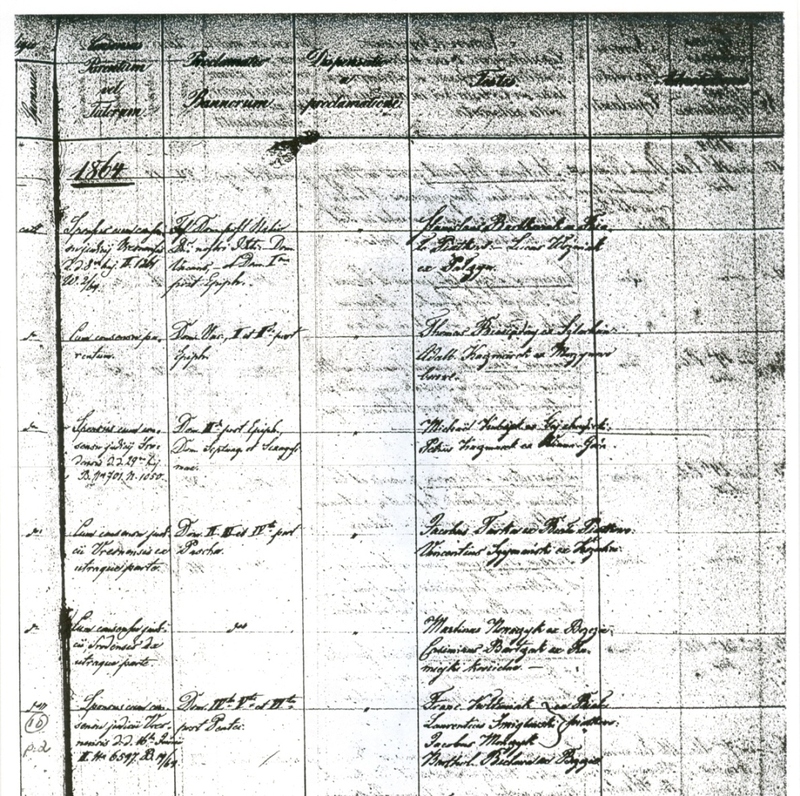 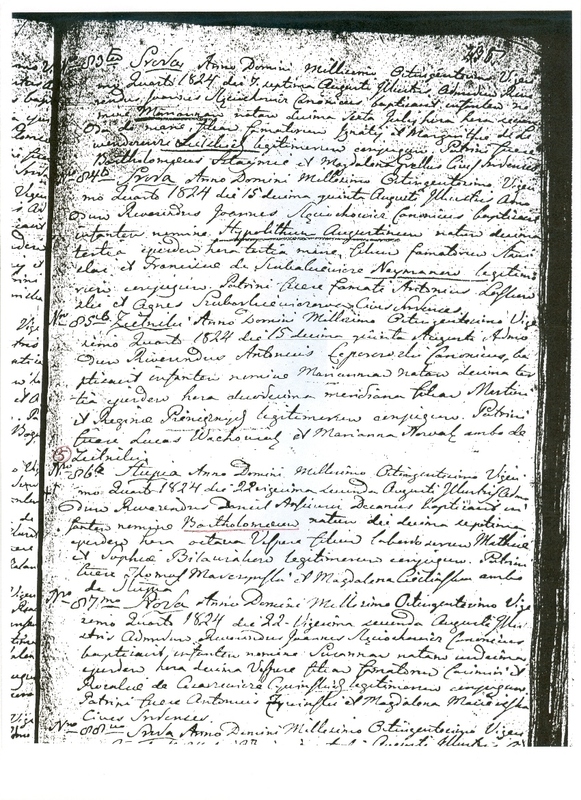 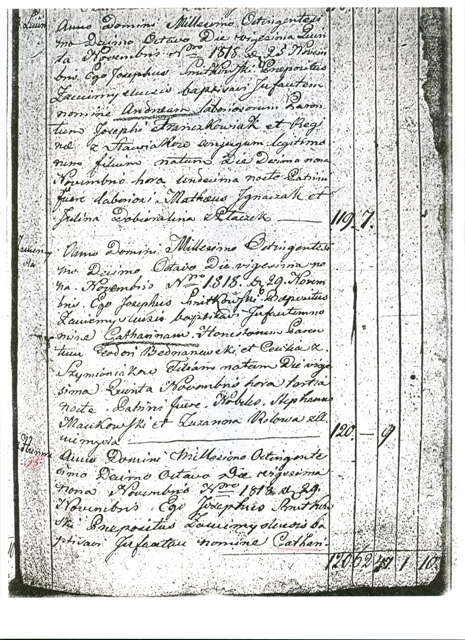 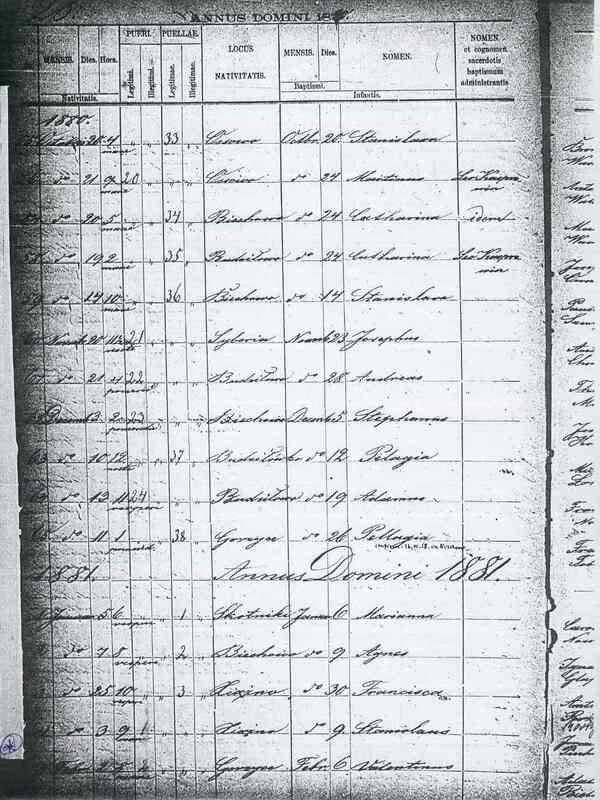 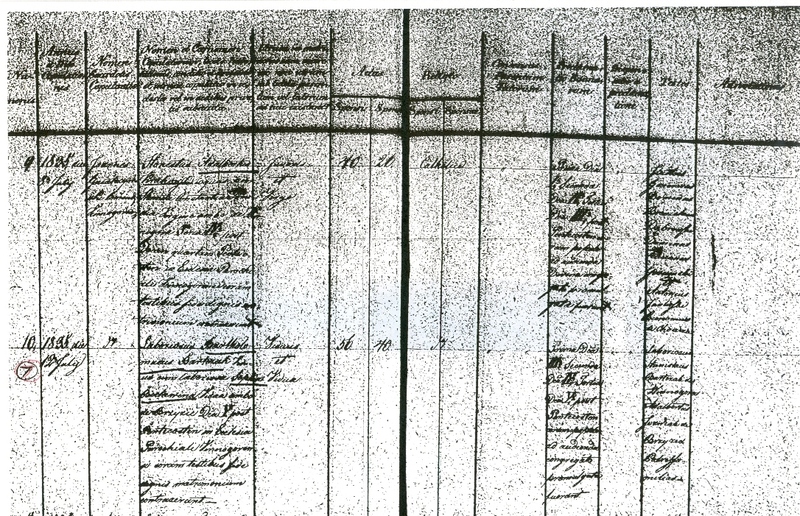 Miłosław", meaning "Kingdom of Prussia - Miłosław"
Probate record of Wojciech Bielawa, which lists all of his living children from both wives!